It's an item that can transform your shirt into a perfectly crisp and angled piece, but how exactly do shirt stays work? We'll fill you in on all the ins and outs of this handy piece of fashion history. You may have read the title and wondered what we mean by 'shirt stays'. That's not surprising, considering they are one of the best kept secrets in the men's fashion world and something many of us don't even know exist. Sometimes referred to as shirt garters, shirts stays enable the collar of your shirt to stay perfectly straight and will give you a clean, formal edge with minimal effort. Every day you probably see shirts that look perfectly put together, either those of your co-workers or models on a billboard, and the trick behind their sophisticated look? Shirt stays. Whether you're planning a smart casual combo or a suited and booted look, shirt stays could make your life a whole lot easier and inject a bit of luxury into your wardrobe. So, with that said, it's time to answer the most important question.. So I bet you are wondering what is a collar stay? well shirt stays are simply two pieces of metal with hidden magnets, designed to hold your collar in place. Metal is the most commonly used material, purely because it allows the shirt stays to stick together effectively. They also look slightly more fancy than plastic versions. Shirt stays prevent your collar from flicking up and looking untidy. They are best used with dress shirts to accompany your suit and tie, keeping a fresh and well turned out look. 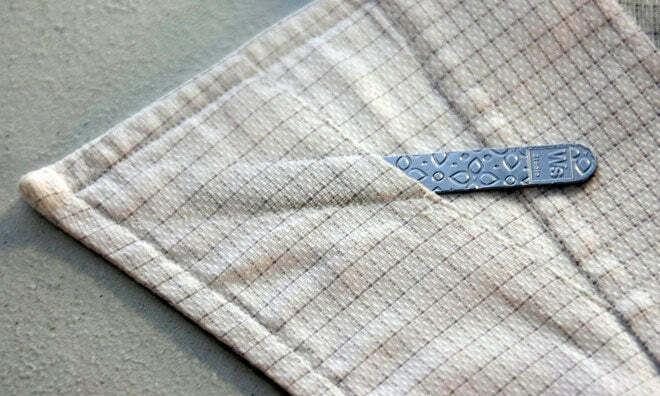 Collar stays can also be called collar tabs or collar stiffeners. To make sure you can actually use your shirt stays, you may need to purchase a new, slightly more expensive shirt. You can easily check if your shirt is suitable by looking under the collar for the stay pocket. Most dress shirts will have one, but cheaper shirts that you already own may need to have one added to them. A quick visit to the tailor will sort it out for you. As shirt collar stays come in two pieces, the magnetic side slips into the stay pocket and the metal piece sticks to it from the other side. 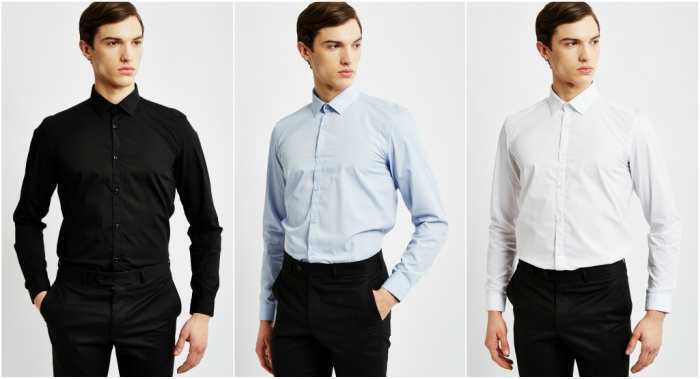 As shirt stays are usually plain metal, they suit any colour or style of shirt. There are two types of collars - one with glued interlining and one without. In simple terms, this means that both types will feature some kind of collar stay to keep the shape. Sometimes they are sown in or they are removable. Button down collars are the soft type that don't have any shirt stays. 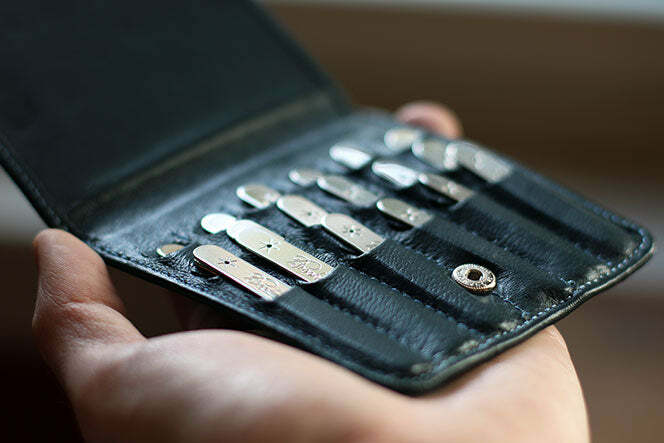 Non removable collar stays may seem like the easy option but they often get misshapen or lost in the washing machine, warranting the need for a good quality pair that can be exchanged and reused. The durability of sown-in shirt stays very much depends on where you buy your dress shirt, some may last through numerous washes without a problem, but there is an obvious advantage to removable versions. Often if removable ones come with the shirt, they will be plastic and flimsy anyway so you have a genuine need for a heavier metal pair to hold a stronger shape. Shirt collars will be rounded or pointed, so remember to choose the right collar stays to suit your preference if you do choose to replace the plastic ones. Why Are Shirt Stays Unique? Not only are shirt stays a men's fashion must have, they also make a great gift, either for yourself or for a fashion conscious friend or family member. They look great presented in a nice box, especially with the finishing touch of an engraved message if that's your style. Shirt stays are as much a fashion statement as they are a functional piece, much like pocket napkins that add a little something special to your office look. They best suit the well groomed man in a beautifully fitted suit and shiny shoes. Surprisingly, your go-to high street store probably isn't the best place to look for shirt stays. Although they are relatively common, this handy accessory does compete with shirts that have buttons already sown in to keep the collar in place. However, shirt stays are designed for high end shirts that you may not find on the high street anyway. Your best bet when looking to purchase shirt stays is to go online. Understanding how shirt stays work is key to adding them effectively into your daily routine. Luckily for you, they come in many different sizes, as you'll see from searching the web. Different shirts will have collars that slightly vary in size and shape, as well as the overall size and style of the shirt. The great thing about shirt stays is that they are often sold in bulk, in packs that include different lengths and sizes. This is true for both metal and plastic collar stays. The choice in material is very much personal preference, metal shirt stays may be right for those of you who prefer to wear them daily and enjoy the shiny appearance. To go one step further, you can purchase silver shirt stays, which are obviously more expensive and suited to giving as a gift. The best value for money is found in plastic shirt stays, as the material is just cheaper to produce. You also get the benefit of being able to disguise the shirt stays if you wish to, especially if they're made of clear plastic. However, bear in mind that they may be more flimsy and won't last as long. Make sure to remove your collar stays before washing your dress shirt or sending it to the dry cleaners. They can tear the fabric or even damage your washing machine! Before ironing your shirt, make sure the shirt stays are out of the way or removed, as they can cause creases or spoil the fabric. 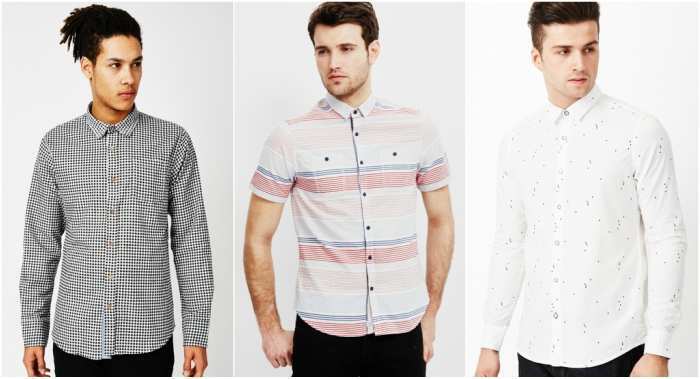 Where Can You Buy Suitable Shirts? The great thing about the fashion world these days is the ability to adapt your clothing to suit your personal style. In reality, you can buy any formal shirt you like, visit the tailor and have a stay pocket added. It is important to add, though, that investing in a crisp dress shirt is the best bet, allowing you to use whichever style of collar stays you choose - brass, metal, plastic, mother of pearl or silver. To browse our selection of smart shirts, go here and be amazed. We fashion-loving humans like nothing more than a beautiful array of shirts laid out in front of us in a variety of shapes, styles, fabrics and colours. Surfing online to find your perfect fit allows you to go straight to what you're looking for, as you can specify size and colour with a couple of clicks. You can also make sure your new purchase is within your price range, which is even more important if you've decided to splash out on an expensive pair of shirt stays. Now, just to step your collar stay game one more level, we give you the magnetic collar stay. These are similar to collar stays expect they keep your shirt collar taut to the shirt by using collar magnets, this is best worn when you are wearing a blazer and don't want the collar to poke over the lapels. Like any fashion accessory, collar stays have evolved over the years, from wood versions dated back as far as 1809. Shirt stays were made from brass, mother of pearl, ivory and whalebone before plastic was invented and metal became the most used material. The real history of shirt stays comes from the evolution of shirt collars that prompted the need for an accessory to keep dress shirts looking neat. In medieval times, shirts were worn as an undergarment, featuring a ruffle at the neck of the shirt created by a drawstring. This is how the exposed shirts we know today were created, along with the invention of detachable collars that used to allow the shirt to be worn for several days before washing, only changing the collar for a clean one. 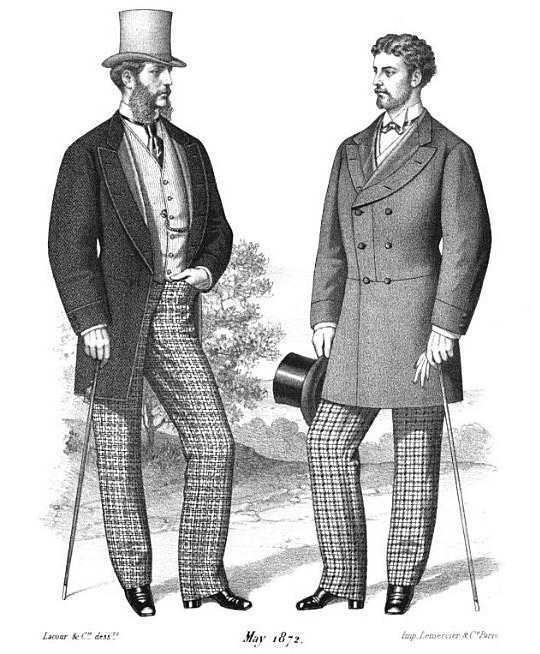 Neat, turned down shirt collars replaced the ruffled versions popular in the Victorian times and the need for shirt stays/collar stiffeners was born. Before you rush out to buy yourself a pair of snazzy shirt stays, make sure you read through our guide thoroughly, picking out the bits that most apply to you. It can take a bit of practice before you learn how to use collar stays correctly and take care of them. To some they may seem old fashioned compared the the modern buttoned collars, but there's something authentic and exciting about the shiny, fancy look that adds a little something to your outfit. Shirt stays can prompt a whole new style and way of smartening up any style of outfit, be it smart or casual, and keep everything looking sleek and sophisticated.